Fiorra is the name of the capital and the city-state as a whole. It is a region known for its trade in fine woods and wood products and one of the rare producers of red wine in Montevalno. As a city, Fiorra is a place of canals with a sheltered harbor for ships to enjoy. There are no true streets, limited to sidewalks and gondolas for transportation. As collegias go, Fiorra is known to turn out some of the finest performance artists in Montevalno. This is, particularly, in the area of Cirque performances. Because of their skill in acrobatics and such arts, the Black Collegia has a strong presence in Fiorra. While one can almost always find a party or social event of some sort to attend in the city1, there is a yearly Grand Carnivale which sweeps nearly the entire city up in its fervor with extravagant masques worn by all (and in fact some nobles change masks more than once a day even during the week long festival), free performances in public areas, and more bottles of alcohol per capita during that one month than anywhere else in the shadow. Within the past couple centuries a new power among the guilds has risen. The Guild of Attendants is selective in its membership, and exclusive in its clientele. 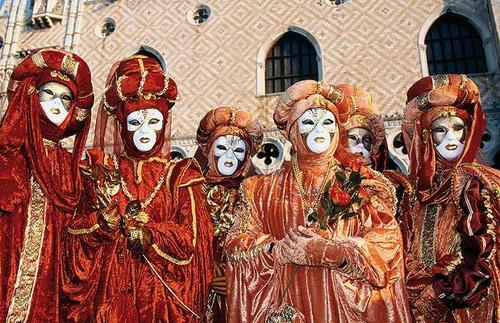 Currently ruled by a council of nobles who meet in secret behind painted masks; six of them control various aspects of the city and its rule. 1. Established on 19 Nov 2009 by Veronica and approved by then propco Emrys.